Nintendo’s “Year of Luigi” trudges this summer, which will see the release of Mario & Luigi: Dream Team for the 3DS. The company announced the RPG will hit its handheld during today’s Nintendo Direct presentation. The game will be available at retail and digitally on the 3DS eShop. Dream Team hits July 12 in Europe, July 18 in Japan and Aug. 11 in the United States. The game again focuses on Mario and Luigi, who travel to an island for some R&R. While there, Princess Peach is – surprise! – kidnapped and sucked into a dream world. When Luigi falls asleep on special pillows, Mario can travel back and forth between the real world and the dream world in order to rescue the fair maiden. 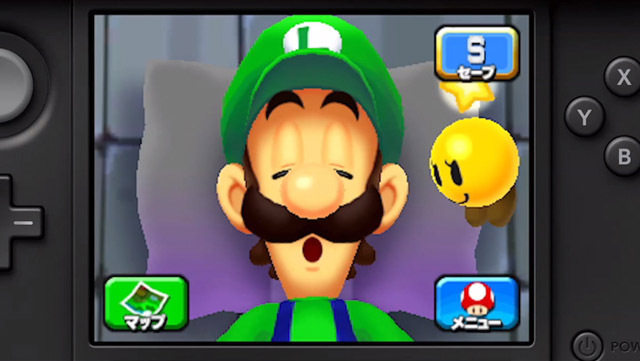 While in the dream world, players will use the touch screen to interact with a snoozing Luigi in order to solve puzzles and utilize groups of Luigi clones to defeat enemies. In the real world, the brothers will team up for some traditional RPG action. Developed by AlphaDream and published by Nintendo, Dream Team is the fourth in a series of handheld RPGs starring the famous mascot and his nervous sibling. The most recent game in the franchise was Mario and Luigi: Bowser’s Inside Story, which hit the DS in 2009. Are you excited for Mario & Luigi: Dream Team? What about the other announcements from today’s Nintendo Direct? Let us know in the comments.